What's Really in Your Orange Juice? Audrey Hunt's passion for nutrition began the day she was diagnosed with Diabetes. She's a vegetarian and advocate for healthy living. Drink Up. Orange Juice is Good For You. Or is It? Do you know exactly what's in your orange juice? I thought I did. Nice, fresh ripe oranges picked right off a Florida tree right? Sorry, but this isn't even close. The truth is that we're being lied to. The commercials and ads we see and the claims made are pure deception. Don't you hate to be lied to? I do. Yet consumers are lied to every time they shop for food. For example take the word "fresh" on food packaging. Fresh can mean that the food has been partially frozen, heat -treated or chemically altered and stored for several weeks. And even other fruit like a healthy shiny apple may have been stored for six months before you decide to take it home for a nutritious snack. But what about our favorite breakfast drink, orange juice? Certainly this is healthy and fresh, and it says so right on the container. I decided to find out for myself exactly how this beverage is made, and you may be as surprised as I to learn how we've been duped. The word "natural" found on orange juice cartons means nothing about nutritional value or ingredients. Food manufactures do not want you to know this. Ten Real Juicy Secrets You Need to Know About Your O.J. Fresh O.J. doesn't last for more than a couple of days. So if your container lasts longer it just isn't fresh. Orange juice is engineered by orange juice makers. This means it is processed and chemicals are added. Oxygen is taken out along with the flavor during the processing. Flavor packs are added back in such as orange - essence and oils to boost the flavor. This is kept as a secret from consumers in order to boost sales. Ethyl butyrate is added as the product is engineered. Since when has a fresh orange ever needed to be engineered? Ethyl butyrate is a flammable liquid. More about this chemical in the next section. Pepsi owns Tropicana and Coke owns Minute Maid to produce 59% of the orange juice in America. According to the citrus industry, the Food and Drug Administration does not require the contents of flavor packs to be detailed on a product's packaging. The compounds in the flavor packs are derived from orange peels. 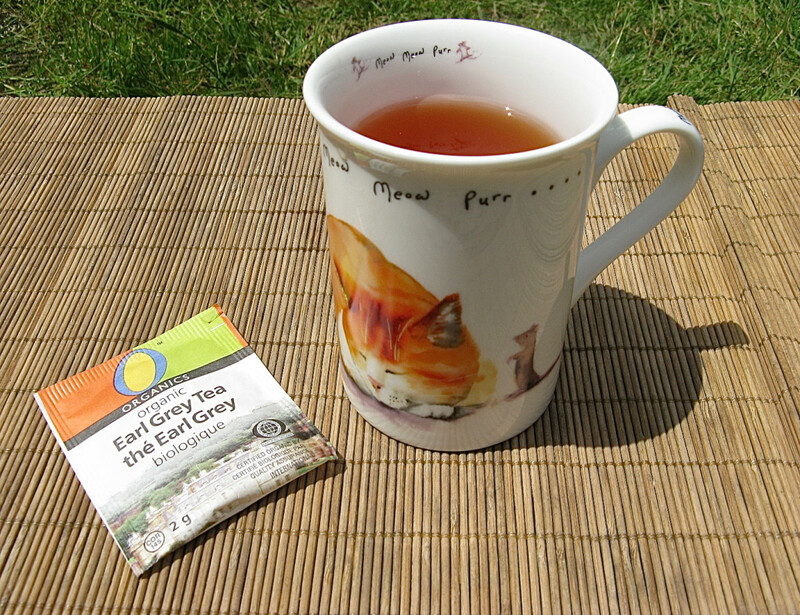 Producers do not mention the addition of flavor packs on the drinks' labels. What is Ethyl butyrate and Why is it Added to Orange Juice? Processed orange juice is chemically altered by adding Ethyl butyrate. It's one of the cheapest chemicals which accounts for its popularity among manufactures. Under certain conditions this chemical is also inflammable. There's no way I'm going to drink anything inflammable even in small amounts which are claimed to be safe. Who do these companies think they're kidding? During my search for this subject I found that ethyl butyrate is a colorless liquid with a pineapple-like odor. It is used in perfumery, flavorings, extracts and as a solvent. It's also used as a plasticizer for cellulose. Ethyl butyrate is often also added to this juice, as most associate its odor with that of fresh orange juice. "The juice is also typically designed to appeal to the taste preferences of the market, and will therefore contain different flavor packs or chemicals depending on where it will eventually end up. According to Hamilton, the juice created for the North American market tends to contain high amounts of ethyl butyrate, which is one of the most commonly used chemicals in both flavors and fragrances". Most orange juice manufacturers include ethyl butyrate in their orange beverages. The exception is the Trader Joe's brand. The San Francisco Chronicle did a taste test in 2007 on a variety of orange juice brands. Staff writer, Carol Ness, writes: "The winner by far was the only brand that put "unpasteurized" on its label -- Trader Joe's unpasteurized, fresh-squeezed orange juice". Cooks Illustrated sent juice samples to independent laboratories, and found that while fresh-squeezed juice naturally contained about 1.19 milligrams of ethyl butyrate per liter, juice that had been commercially processed had levels as high as 8.53 milligrams per liter. When oxygen is removed from orange juice the natural flavors of the orange is also removed. Then why do manufactures remove oxygen in the first place? They do this because once the oxygen is removed the juice can be stored for up to a year without spoiling. Then these manufactures hire flavor and fragrance companies to make the stored juice taste like the real deal again. And because the flavor packs are made from orange by-products they're not considered an ingredient and not required to be listed on the label. So even though the flavor packs are chemically altered the consumer is not notified. Your orange juice is artificial even though it professes to be 100% real. See how the drink is made below. I can't unlearn the unhealthy truth about the food industry. I can't turn my back on it. I think about the future of our country and the children who will be our country's future. If we don't address this issue now, who will? I called on three orange juice manufactures, which I won't mention here, to get detailed information on what exactly goes into processing orange juice. One company talked "around" the subject but avoided most of my questions. The other two corporations refused to talk to me at all. I can only draw the conclusion that they have something to hide. To say nothing and dodge engaging in a conversation with me told me plenty. Orange juice manufactures are not alone in their deception when it comes to processing and labeling food. This is a no-brainer and I've been making my own O.J. this way since I was a child. I loved doing this back then and I still love it today. And if you have an electric juicer - go for it! Wash the skin of a few oranges. Place oranges on a clean cutting board. Roll oranges using the palm of your hand to soften them up. Remove seeds using a spoon. Using a juicer, squeeze by hand to get the juice. I either cool the oranges before making juice or refrigerate the juice after making it. This gives you a nice cold, delicious taste. It will keep in the refrigerator for 2-3 days. How many of these facts do you already know? About 85% of all oranges are used to make orange juice. An orange tree can grow to 30 feet and live for over a hundred years. The first person to bring orange seeds to America was Christopher Columbus on his second voyage to America in 1493. There are 600 varieties of oranges in the world. When a little green appears on an orange it will not affect the taste. William Wolfskill planted the first orange tree in Los Angeles in 1841. Oranges along with orange blossoms are a symbol of love. The peelings on oranges can be used as a slug repellant for vegetables. Just sprinkle over the tops. There are typically ten segments inside of an orange. The worlds leading producer of oranges is Brazil. The orange is a type of berry. The berry is hesperidia. The first orange trees were grown in China. Are You Eating the Orange Peels? Eating an orange will provide you with more fiber than juice. Most of the fiber is lost during the juicing process. Most juices contain added sugar. It's believed that fructose is a riskier form of sugar than glucose. This is because fructose increases the risk of diabetes, liver disease and cardiovascular disease. If you've been tossing your orange peels you may want to hold off. The peel actually has more fiber than the orange. In fact it has four times more fiber. In addition, these peels are loaded with over 60 types of flavonoids, and over 170 various types of phytonutrients. If you're willing to give this a try just grate the peel and sprinkle on veggies. Tip: For bad breath just chew orange peels. While it's working on your breath it's also whitening your teeth. Now, how about that? Back in 2002 I was diagnosed with type 2 diabetes, inflammation and even a fatty liver. My father had suffered the loss of a leg because of his diabetes and I promised myself no such thing would happen to me. As I talked to my doctor about controlling diabetes she provided me with a list of foods to avoid as well as portion control. The list looked doable and I let out a sigh of relief. Then she added that I was to avoid all processed foods. What? How can I do that when everything I buy is practically all processed? Well, I did my homework and learned about food companies adding chemicals to food. I was feeding myself these chemicals. Sure, maybe in small amounts, but I knew in time those additives could and would harm my body. I wasn't about to let that happen. I became a vegetarian eating fresh fruits and vegetables along with some grains and occasionally salmon. Over time I lost some weight, my liver became normal, the inflammation disappeared and I was taken off of diabetic medication. Now I'm a believer. I feel that I have a responsibility to warn others about processed foods. It's not about scaring people, it's about saying that we're smarter than this. We can build a better food system. We have a right to know how our food is made, how it's produced and how it's grown. We have a fundamental right as human beings when it comes to protecting the people we love. Will You be Squeezing Your Own Healthy Orange Juice Now? I already squeeze my own orange juice. No. I'll keep buying my O.J. at the store. Audrey, thank you for a very informative article. I have stayed from orange juice for years. Sometimes I buy fresh oranges at Trader Joe’s or Whole Foods and just peel and eat them. 6 months ago from From Mumbai, presently in Jalandhar,INDIA. Very useful information. My family has long back given up on processed foods and drinks. I'm glad we did. Thank you for sharing this information. I’m going to think twice before buying my juice from the supermarket now! Actually I think it’s time I start planting! 14 months ago from Idyllwild Ca. I love your comments. Thank you for supporting me on this issue. So many folks drink OJ thinking it's a healthy for them. My hope is to wake people up...especially for the sake of their children. I probably drink juice once a year, if that. Nevertheless, I found your article quite fascinating, and well written. Good to know I'm not missing anything by skipping the breakfast juice. Lol. But seriously, it was eye-opening to hear about the flavor packets and the chemicals. Eeew! Wonderful hub you've written here. Fascinating information on the production process and additives in common brands of orange juice. 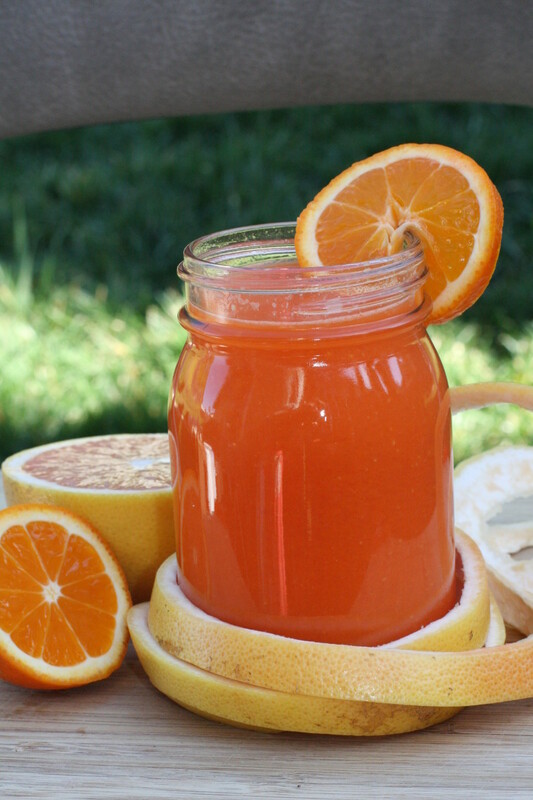 My parents used to live on property with a number of orange and grapefruit trees and we squeezed our juice every day. After reading this, I'm inclined to do that again. Great news that you have your diabetes under control. Good for you! Avoiding processed foods is crucial to maintaining good health. Fresh is best and whole foods without added ingredients, perhaps especially sugars, are healthiest. I think OJ may be one of the worst offenders of the food industry. Keep sounding the trumpet because the learning curve on this topic is a long arc for most people. Wonderful! This is the best way for making your own fresh juice. It must taste fantastic. Thank you for being here. I have a juice maker and use for orange juice and mandrines. 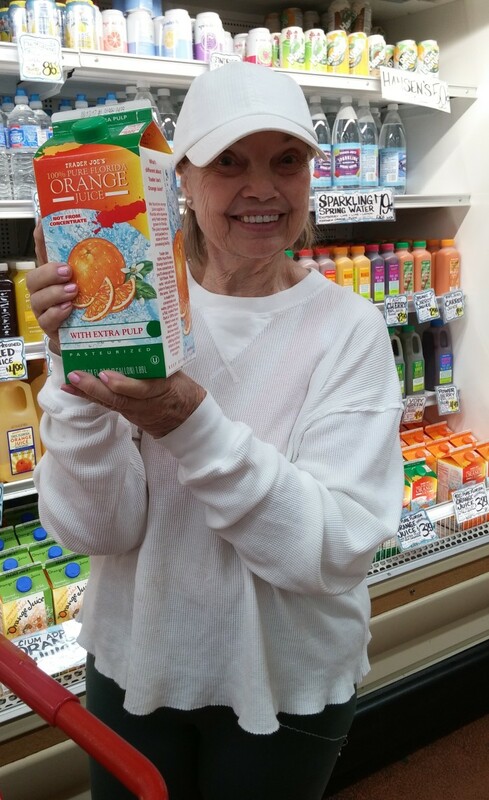 Glad to hear that you will be squeezing your orange juice instead of buying "who know's what" in the market. It is outrageous that the FDA allows manufacturers to lie to us. Thanks for finding my article useful and valuable. It's just as well you rarely drink orange juice. It's loaded with sugar which of course you don't need - especially being pre-diabetic. Take care and good health to you my friend. Lucky you! Living in Florida where serving pure orange juice is available. Thanks for reading my hub. Appreciate it! 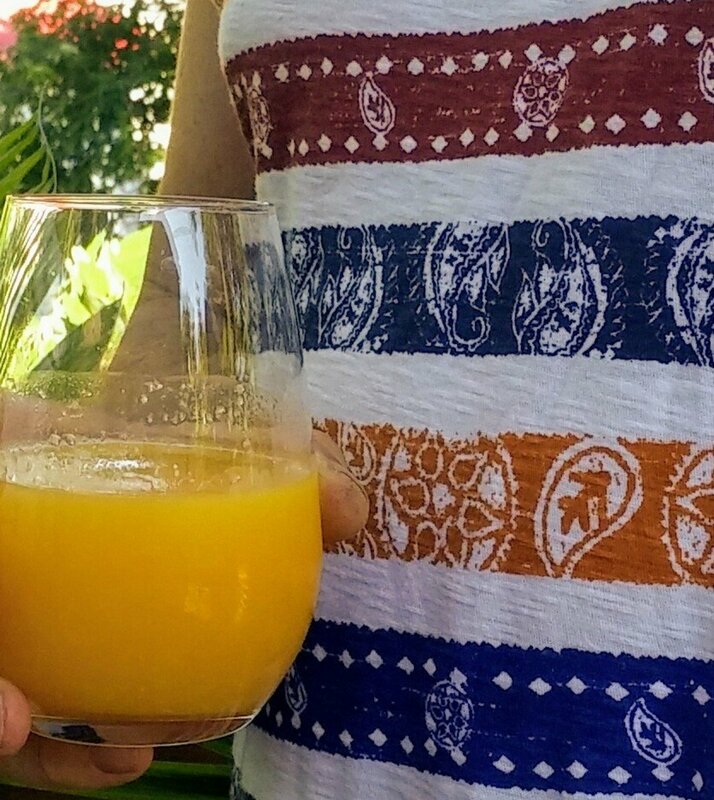 Living in Florida we have the advantage of getting pure orange juice on the table each day. From the store, I buy the local farmer's juice product which is another plus for living near orange groves. 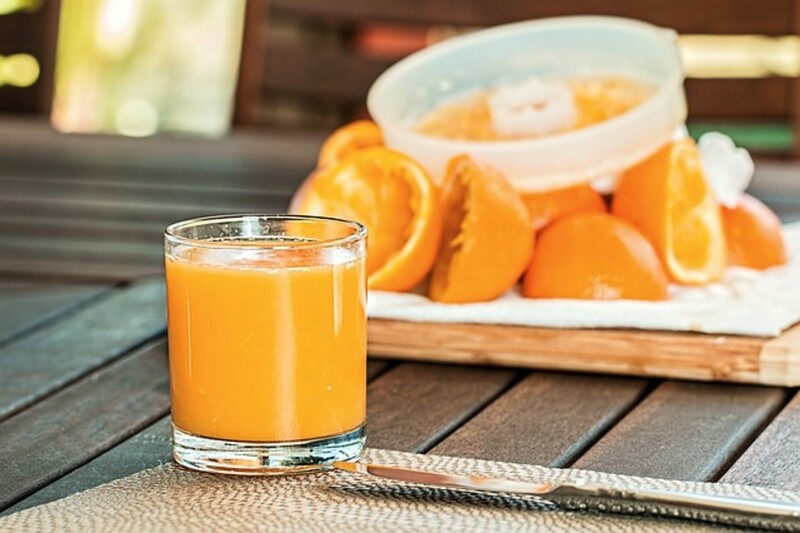 I think many people believe eight ounces of orange juice is healthy for you but are unaware of how the quality of the juice affects your body. Good article for the education of readers on drinking juice. Wow! I have never thought about reading the label of a product labeled, "Natural." Your research article is extremely valuable. To discover how duped I have been makes me feel like there is no manufacturing company in the world that can be trusted. From now on, I will be squeezing my own oranges for juice. Audrey, thank you for the information and for doing this research. I hardly if ever drink O.J.. like Rachelle I am pre-diabetic and try to avoid sugar. 21 months ago from Idyllwild Ca. It took me awhile to get used to eating the pulp of an orange. Now I always include it because of the health benefits. Thanks for being here and reading my post. It's surprising what they put in orange juice, I had no idea. I am always eating oranges, I love them. Although I didn't know the peel of an orange had so many health benefits. What wonderful suggestions for us all! Can't wait to try these. How thoughtful you are to share this information with us. Thank you! Howdy yet again! This winter, if you're lucky to find them, kumquats are available. These are absolutely YUMMY! Just cut in half, remove the seeds, & munch away on everything else! Peel is sweet, with maybe, a teeny tinge of pithiness. The tiny bit of pulp is tart. These little citrus gems need more fans so our grocers stock more of them. 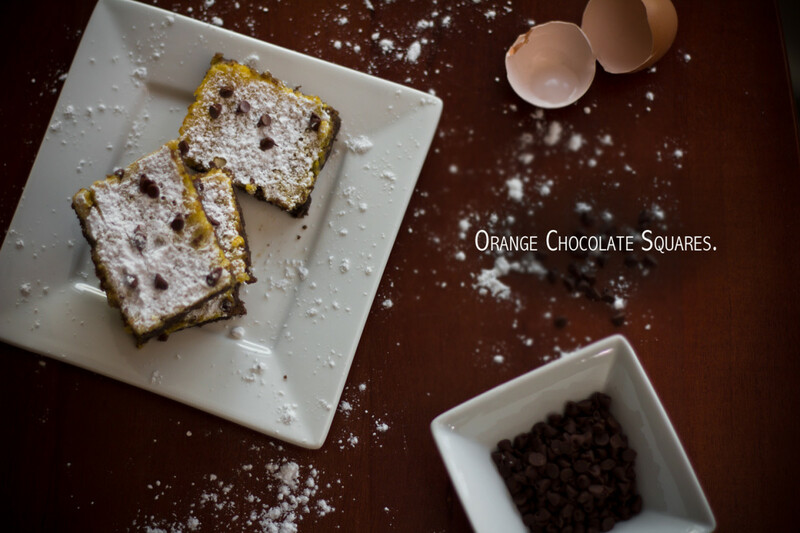 Marmalade, sorbet, salads, baked goods, pastries, & savory dishes benefit from these tidbits. Would love as well to see Buddhas' Hands, bergamot oranges, & the giant lemons of the Cote' D'Or. These can be available in season if there's a demand. We depend too much on a handful of citrus varieties. Requesting more options benefits us, the environment, & the economy. May you and all your readers thrive in good health! Thanks for adding this terrific tip for squeezing your own orange juice. I will add the pulp and even some peeling into mine. Great help! Oh yummy! This is the best way to make orange juice. I love the pulp in mine. And I unfortunately only get to treat myself to OJ twice a month due to the sugar. Thanks for being here by long time hub buddy! I, too am diabetic like your husband and stay away from orange juice because of the high sugar content. So glad you found this information useful. Take care my friend. I'm a strong advocate for eliminating all processed food period. I feel like a kid again since going off of processed food and cutting way back on my sugar, So glad to know you are on the same page. You're my hero! Thank you. It really is so much better for us to eat an orange instead of drinking the juice. If we all made this healthier change maybe the FDA would be stricter about regulations. Thanks for being here Peggy and thanks for pinning. I understand your disappointment. Why not squeeze your own orange juice? It's healthier, very easy and cost less. Just limit the amount you drink because of the sugar content. I gave up all processed food after learning about the chemicals and added sugar and salt in these products. Like you, I was brought up on orange juice for the health benefits. But - we always made our own or just ate oranges. How sad that the FDA allows even the slightest hint of chemicals in our food. Shame on them! You are a good consumer! The reason processed food lasts so long is because these foods are filled with chemicals. This can't be good. Thanks. Avoiding all processed food is much healthier and you are a wonderful example! Thanks for sharing the orange peel face mask. I'll use this. Very nice to see you my friend. My best to you. I'm watching my sugar too. I rarely drink more than a couple of ounces 2-3 times a week. Sometimes I just have an orange. Sugar is still loaded in the orange but the fiber is great! Good luck on your diet. Me again. When I juice citrus, I scrape the hull gently with a grapefruit spoon to get as much pulp out as possible. If you don't like pulp in your drinks, save it in a freezer container for homemade cakes. Extra fiber is not noticed when eating. Can also put juice & pulp in blender & break it up. I love to freeze fresh juice & scrape with a fork or grind in blender to make a guilt-free sorbet. 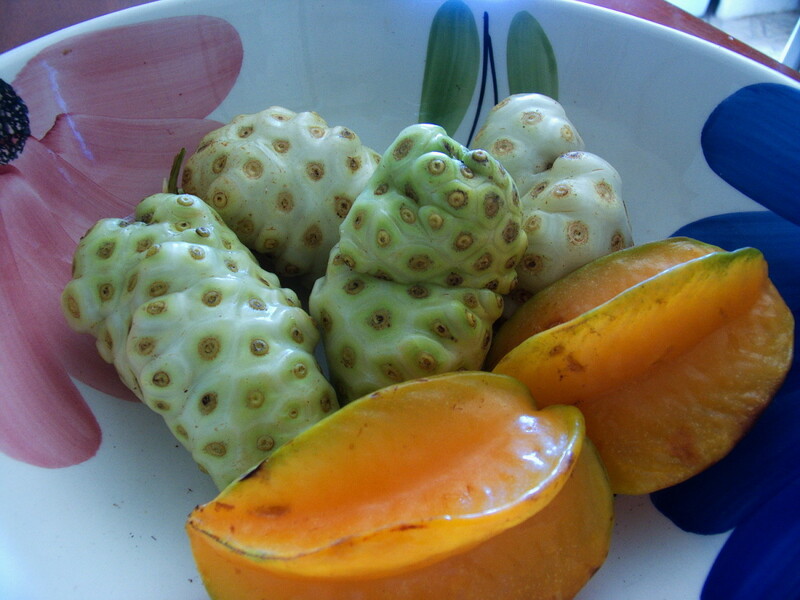 Most nutrients are in the solid parts of fruits. Pulp can be made into jam or marmalade, along with the zest. For those sensitive to bitterness, avoid the white parts of citrus. If not, include as much as you can handle. Pith has great nutrients. Love your work & the useful comments from readers! How informative and sobering is this article. Yes, it's very disappointing to learn the truth about how food is processed. If manufacturers are going to use chemicals they should at least print a warning on the label. They should also be made to stop false advertising. Thanks. a brilliant article which I am saving Audrey as my husband is stage 2 diabetic. Thank you so much for sharing AND SO VERY USEFUL. Hello again! I'd like your opinion about Trident Seafoods, the Louis Kemp parent company. They sent me a very informative packet of information about the foods they produce. The representative, Sandra Daniels, sent me info on where they obtain their seafood, what sustainability practices they use, the nutrition, mercury content, & other factors they confront. Recipes were also included. I liked what I saw, but you're a very good investigator & I trust your feedback. This info, called a "Pak" was obtained by going to the website & requesting it at www.tridentseafood.com. I hope you get a chance to check this out sometime & opine on it. Thank you! 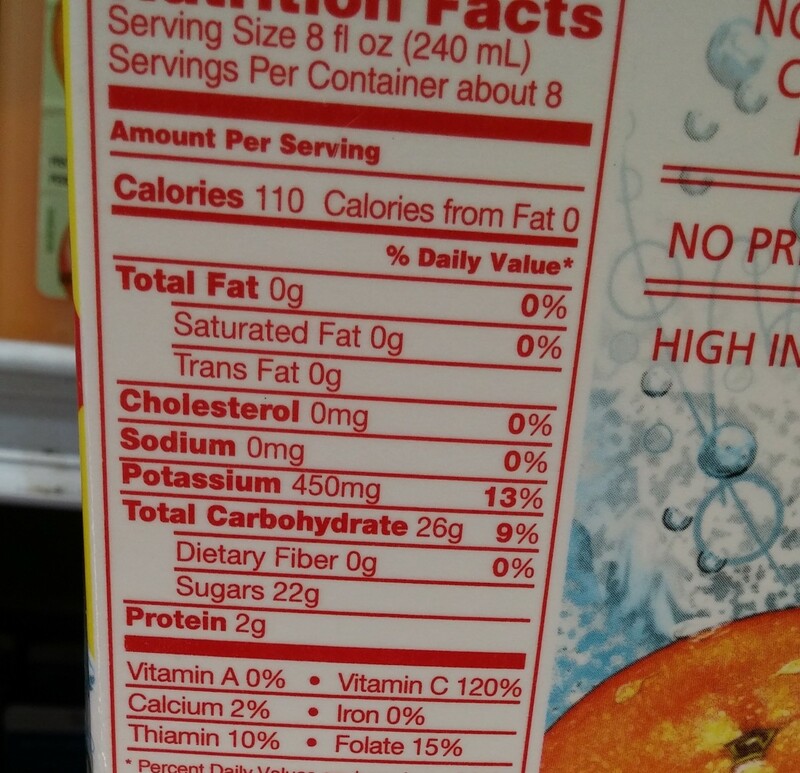 I did not know all of the information you provided here but gave up drinking orange juice many years ago because of the calories. I learned it is much better to actually eat an orange than to drink the juice for that reason and also to get more fiber. It is sad that we cannot trust our food manufacturers to do the right thing when it comes to our health. It is all about the bottom line for them. Pinning this to my health board. Yes! And you don't serve it at the inn either. I'm so glad you like this hub about orange juice. It's very disappointing to learn about all of these sad truths. I really love squeezing my own orange juice. Now - more than ever. What a shocker and a tear jerker. I grew up believing having orange juice and a vitamin every day was good for you. Now I am wondering about a one a day vitamin. It is never too late to learn the truth. Great information we all should know. It is sad to think how many families did what my family did. Thinking it was a healthy start to my day. Fresh squeezed is the way to go. Thank you for teaching us. It shows we are never too old to learn. Have a beautiful night. I had no idea that the omega3 added to orange juice came from tilapia. And I recently heard that tilapia is being banned from the U.S. because so many were getting sick. Ewwwe! Thanks for sharing this. Really like this additional information. And so man mothers these days assume the same thing. That orange juice is healthy for their children. Like you've pointed out - way to much sugar! Thanks. I love orange juice but knowing this makes me so disappointed! It's just as well you've never liked store orange juice. How wonderful that you make your own. Real O.J made from oranges fresh squeezed is the only way to go. Thanks Genna. Wow, your article is a real eye-opener. I have always enjoyed orange juice but started a diet about 6 weeks ago and when I found out how much sugar is in oj, I stopped drinking it. Great hub with a lot of evident research behind it. This is very informative for those who consume processed or bottled fruit juices and similar food items. I always like fresh food and usually I go to the fruit and vegetable market myself. I am a bit fussy also when it comes to handpick my food items. Preserved food is a No for me. Having said that I do realise why people sometimes have no choice but to consume these food. It is convenient for those who are very busy and can't go to the market very frequently. Your article covers all the details about processed foods extensively. Very well written and informative. You are right about the orange peels. Their flavour is so refreshing and I usually add them while baking my cakes or making desserts. They are excellent as face mask and for skin care . Thanks for sharing this excellent hub and a very good day to you! You are entirely welcome. I only wish I could warn everyone about the harmful lies we as consumer are being told. Thank you. You made me laugh! I wish our local farmers market offered orange juice. It would be a big hit. Thanks Bill for being here. This is a major revelation. I've always had suspicions about food and drink that can last for weeks. Thanks for doing the research and sharing the information. Very helpful! Thank you for this informative article. I learned so many things about orange juice that I never knew before. It was so disappointing to find out that two of the biggest brands are simply extensions of Coke and Pepsi, and because of the added sugar are more like "healthy" soft drinks without carbonation. Bleh! But thanks for the great article! Thank you for sharing your informative comments. You are well schooled in the field of nutrition. 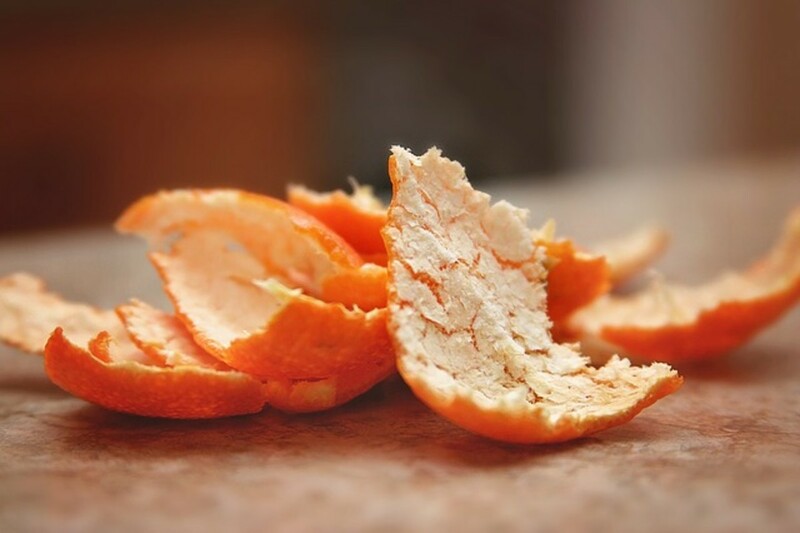 Your tips on orange peel zest is very helpful. I hope to read more of your comments on other hubs I've written. Good health to you and yours. I am thrilled that I don't drink orange juice! Great job with getting the nutritional facts straight and making people aware of what they are putting in these types of drinks. I found this very helpful. Thank you for the link to your new article you're preparing. A great title and I'm eager to see what this is about. Appreciate the share. Good health my friend. Very wise of you to live as though you are diabetic. You will most likely avoid full on diabetes and enjoy good health as well. And good for you for the example you set for your loved ones. What better gift to give them? I'm adding a video on making your own orange juice right now and thanks. Very compelling article and good for you that you contacted three manufacturers! Many people don't realize that orange juice is like drinking soda. I do not do ink it at all. However, I grew up on the stuff because my mother assumed it was healthy. I think the consumer has been lied to for a long time. You're right, unless you squeeze it yourself, you don't know what you're getting. To increase the Omega 3 in the diet, it is put in orange juice. This omega 3 comes from tilapia! So you could say, there is something fishy going on with your orange juice. Oh my, Audrey…after reading this, I’m glad that I neither drink nor am a fan of OJ, unless it is fresh squeezed in my kitchen. I never liked store-bought for some reason. Interesting and informative read! Reading the labels can be bad for your health! LOL We buy at farmers markets, hand-squeezed by people we know...it's the only way to go. :) Hugs from Olympia, dear friend. Just what our nutritionist says! The processed stuff just doesn't cut it. If more of us squeezed our own juice, maybe more varieties would be offered at grocers. I once found a seed that was beginning to split open, showing the green, in a lemon. Planted it in a pot & lo & behold! A lemon seedling! Gave it to a bonsai gardener who had a mini lemon. Now, with another for pollination, he's getting fruit (full size)! It's a hoot to see the developing lemons propped up to prevent breaking the tiny twigs! If you find such a seed, try it! Use Grandma's old-fashioned reamer that catches juice. Love it! Citrus juice can be hard on hands. Hand reamers not my fav. 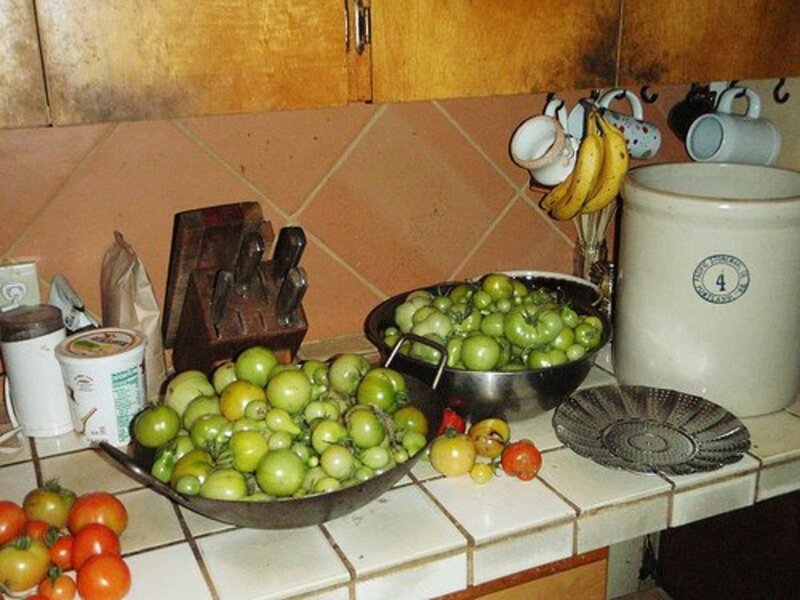 Wash fruit & dry well. Allow to sit on a paper towel lined tray. 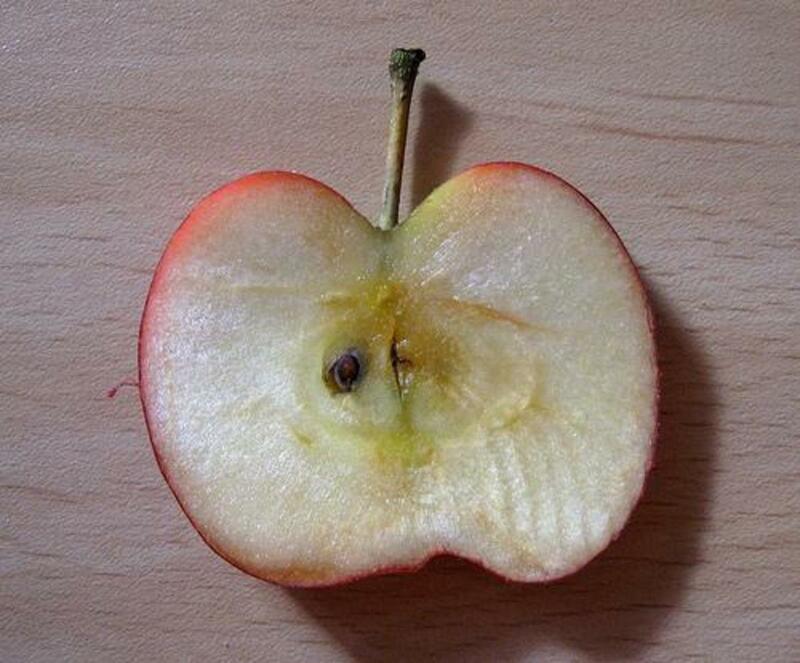 Turn fruit occasionally until the peels start to lose gloss. The juice inside develops more flavor & yields more. But if you want citrus zest, it's best to do so when glossy & smooth. Try zest in baked foods, soups (nearly all kinds!). I prefer not to use grapefruit peel; flavor is too pronounced. Freeze leftover zest. Still good a month or more. Try squeezing several citrus fruits for a real treat! Tangerines with lemon; orange with lime, are good starters. Can you get good, ripe peaches? Wash well, remove stone & whirl in food processor (I have a Ninja). Put in coarse sieve & work it until all that's left is paste. Give paste to wildlife & mix juice with fresh squeezed orange juice. Freeze what you can't drink in 2 days. Makes a great shaved ice! Try with any fresh, juicy fruit: cherries, Kiwis, nectarines, plums. Also try with carrot juice! Try to get as much pulp as possible. Gotta love that fiber! Use your freezer to help keep juices. Some nutrition is lost after a while, but it's still WAY better than processed! This is great! I'd like to read more of your discoveries! Thanks for that fantastic article. I'm preparing an article titled The most dangerous places on Earth ( I will not tell you what they are) but I will link this article to my soon to be published article. Well done and I will now share it.